The Irish Penal Reform Trust have also questioned how the issue of phone recording could remain hidden for four years. 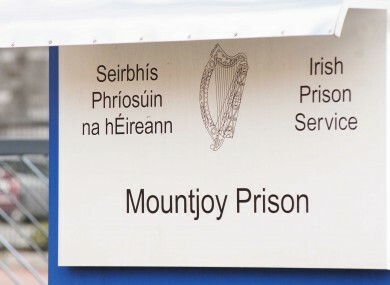 THE IRISH PENAL Reform Trust (IPRT) is calling for a full investigation into the recording of phonecalls between prisoners and their legal representatives. The IPRT say that client-lawyer privilege is particularity important for prisoners because they do not have access to an independent complaints mechanism. The organisation’s call comes after it was revealed yesterday that over 2,800 conversations were recorded on prison phones over a four-year period. “The recording of calls between prisoners and their legal representatives must be subject to a comprehensive investigation,” the IPRT executive director Deirdre Malone said today. Following the outcome of that investigation, a clear plan must be put in place to ensure that this never happens again, given the fundamental rights involved and the vulnerability of those affected. Malone also questioned how the issue remained for hidden for over four years and added that although the Irish Prison Service have apologised to the solicitors, they have not yet made a similar apology to prisoners. “We welcome the Irish Prison Service’s commitment to apologising to the lawyers affected, and expect that this apology will also be extended to their clients,” said Malone. The IPRT has previously called for more direct monitoring on the protection of prisoners’ rights including inplendent oversight mechanism such as a Prisoner Ombudsman. Email “Penal Reform Trust to Prison Service: Prisoners deserve an apology along with lawyers”. Feedback on “Penal Reform Trust to Prison Service: Prisoners deserve an apology along with lawyers”.